How To Check Your Order Tracking Number On BOS? 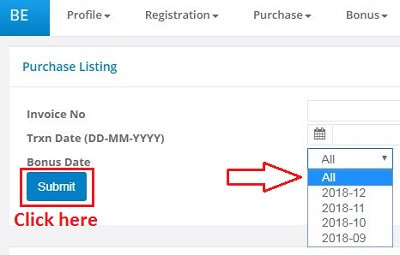 The following are the step by step instruction on how to check your order tracking number on BE Online System (BOS). 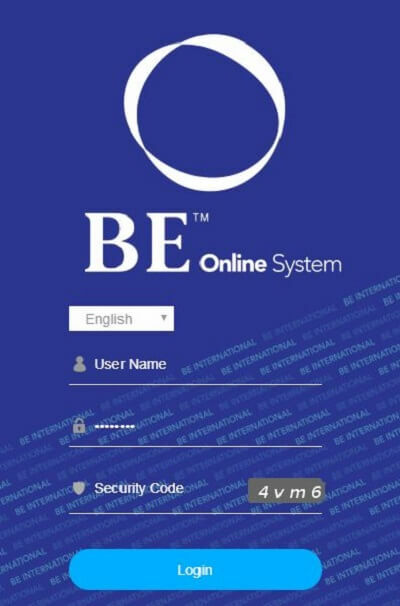 Firstly, you have to be a registered member of BE International and already placed on order online through the BOS. As a member, you should have your IBO code. The User Name is your IBO code. The temporary password is your full IC number. If this is your first time logging in, you will have to reset your password and also create a pin to access your e-wallet. After you’ve logged in, the following are the steps to check your order tracking number. 1) Go to the top of the page, click on Purchase. Then click on Personal Purchase Listing. 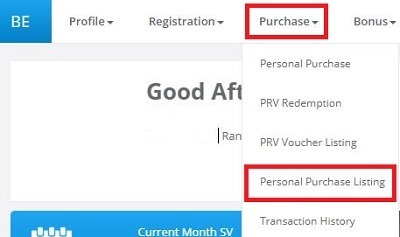 2) In the purchase listing page, click on the Bonus Date drop down menu and then select All. Next, click the Submit button. 3) The system will generate a list of all of your past purchases. Look for the order that you want to get the tracking number. 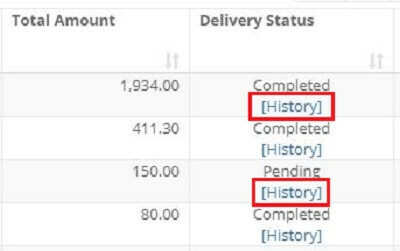 At the Delivery Status column, there is a Completed and Pending status. Completed means your order has been processed at the warehouse and is ready for collection by the courier service. A Pending status means your order has not been processed because the product you’ve ordered is out of stock. To check the tracking number, click on the History link. 4) In the following page, you will see your DO History. Go to the Delivery Summary section and look at the Consignment No. column. The number listed below is the tracking number for your parcel. If there is no number, meaning, your order has just been processed yesterday and awaiting the courier service to collect your parcel. 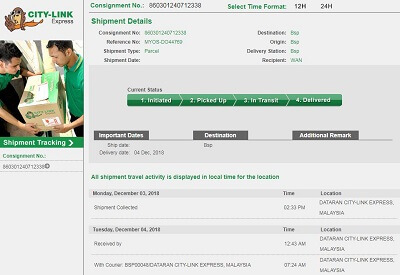 A tracking number will be added later in the day when the courier service updates their data base. 5) The last step is to track your parcel at the courier service website. Currently, BE International engages the service of Citylink and DHL eCommerce to do their order delivery. Just enter your parcel tracking number and click the Track button. I hope the instruction above has been helpful for you.